Shichigahama-machi, surrounded by seven beaches, is a small town with a population of just over 20,000. It seldom appears in the media. Five years ago, Mr. Nobuyuki KURITA, the director of our voluntary organization, Rescue Stock Yard (RSY), had an opportunity to give a lecture here, and since then, the Shichigahama Council of Social Welfare has been supporting our organization as a member of RSY. Thanks to this relationship, RSY successfully managed to start its recovery support service in this town on March 24. Currently, we are engaged in activities such as offering foot bath services at the evacuation shelters, serving meals for volunteers, and visiting households in the affected area to find out what they need. On April 23, we also opened Kizuna-kan Volunteer Center, which serves as the base for our activities. We now open and run the Ochanomi (Tea Break) Café, and occasionally meet there together with local volunteers. We will keep supporting local people to work out a bright future of Shichigahama. Shichigahama sounds like a caring community. Is there a way to add more pictures to the various entries? The cooking picture with the previous entry brought the story to life. And a map would add a lot, too. 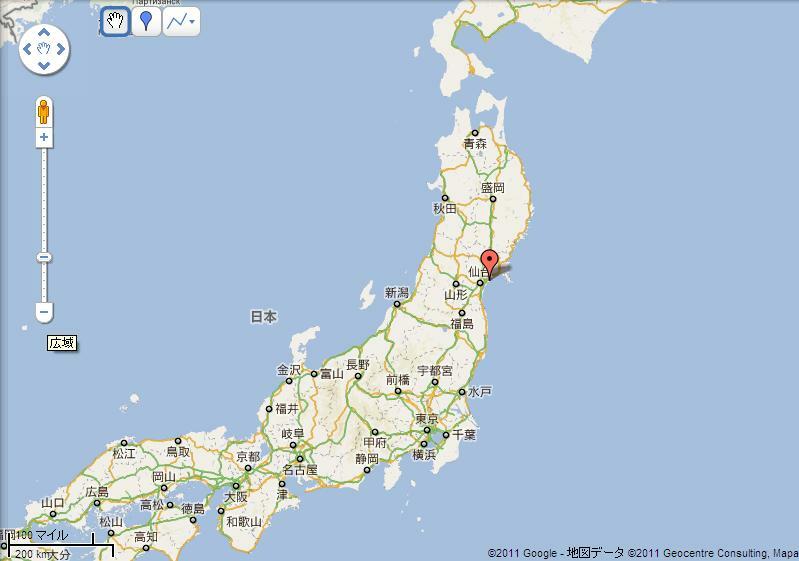 I wondered as I read this, where is Shichigahama in relation to Tokyo or Fukushima? Thank you for your advice. We will add the map and the photograph to the article. Your understanding is greatly appreciated. Thanks so much for the map! It is so amazing to see how communities have built systems to help each other. The project of the high school shows also how the youth are very brave and instead of giving up on things,they are looking to improve and further build their future. To now start looking forward and not dwell in the misery...this is really eye-opening.